For all of Donald Trump’s words about going against the Washington establishment, his pick for deputy national security adviser makes much of that null and void. President-elect Trump has tapped K.T. McFarland for deputy national security adviser, who is a life member of the Council on Foreign Relations (CFR) and former aide to Henry Kissinger during the Nixon administration. More recently, she has plied her trade as a talking head on Fox News, which regularly pushes the narrative of U.S. military hegemony and keeps Americans in a state of fear over terrorism. McFarland would serve directly under Lt. Gen. Michael Flynn, the firebrand Islamophobe who was forced out of his job as Director of the Defense Intelligence Agency. Flynn, who calls for increased domestic surveillance and escalating tensions with Iran, became a big Trump supporter – and that loyalty is now being rewarded. 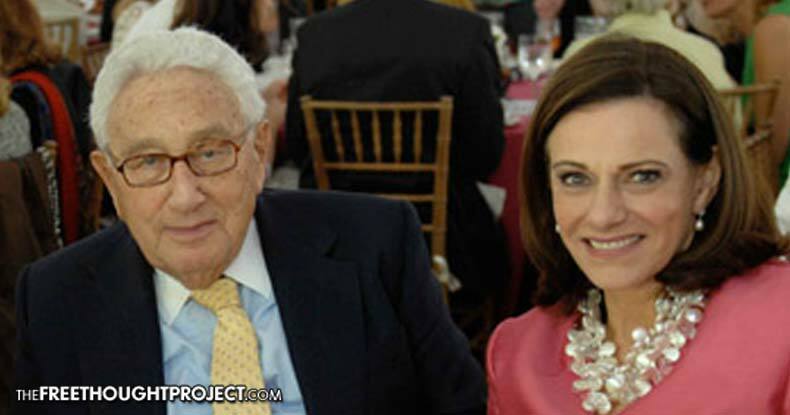 McFarland, being a long-time CFR member, has a history of pushing war all over the globe in the interest of the U.S. war machine. She cut her teeth in the Nixon and Ford administrations, serving as adviser to Henry Kissinger on the National Security Council from 1970 to 1976. She was a member of the Senate Armed Services Committee Staff during Ronald Reagan’s first term, helping smooth the way for Reagan’s overt and covert military interventions in Latin America and the Middle East. The narrative created by CFR and its cohorts is picked up by secondary communicators, also known the mainstream media, who push it on the populace without serious analysis or questioning. McFarland’s long tenure with Henry Kissinger is most telling. The Washington foreign policy establishment seems to ignore Kissinger’s immense role in promoting conflict, genocide and torture around the world. You may have noticed the reference to Kissinger being Hillary’s Clinton’s tutor. We know that Clinton is beholden to the Washington establishment and the globalist military order, but Kissinger and CFR are not letting their influence subside with Clinton’s loss. Donald Trump met with Henry Kissinger in mid-November, and soon after that meeting Kissinger said we should expect Trump to renege on some of his promises. “One should not insist on nailing [Trump] into positions that he had taken in the campaign,” Kissinger told CNN the Sunday after the meeting. Coming from Kissinger, this can be taken to mean that Trump will abandon his non-interventionist position in order to continue stoking endless conflict around the world that is crucial to the CFR globalist agenda. The meeting also set the stage for Kissinger’s protégé, K.T. McFarland, to enter the new administration as the whispering globalist warmonger in Trump’s ear. Kissinger chose McFarland’s position well. She has consistently called for more military intervention in Syria, and has made clear her desire for regime change in Iran. McFarland wants to increase the already gargantuan U.S. military budget, which is in line with Trump’s position. The appointment of K.T. McFarland is the biggest indicator yet that Trump is opening the door to the neocon globalist cabal, despite his claims of being against the establishment. This is especially troubling, considering the unabashed hostility of Trump and his appointees against Muslim nations that do not submit to the will of the U.S.